Let your 1st grader find the hidden bug on this color-by-number worksheet. It's much funner than finding a hidden bug just about anywhere else! 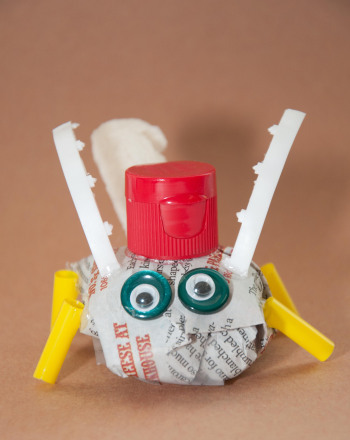 This Earth Day, create an adorable litter bug while learning about the importance of recycling. 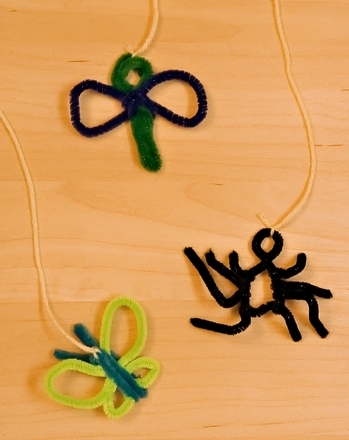 Help your child bend simple pipe cleaners into bug shapes as diverse as the creepy crawlies that inspired them. Here's a bug coloring page with insects galore! Kids will have a blast bringing these detailed creatures to life with color. Doug the Bug has many jobs, but today he is a cowboy! 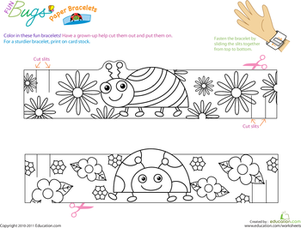 Help your child color this cowboy critter and the Wild West scene. 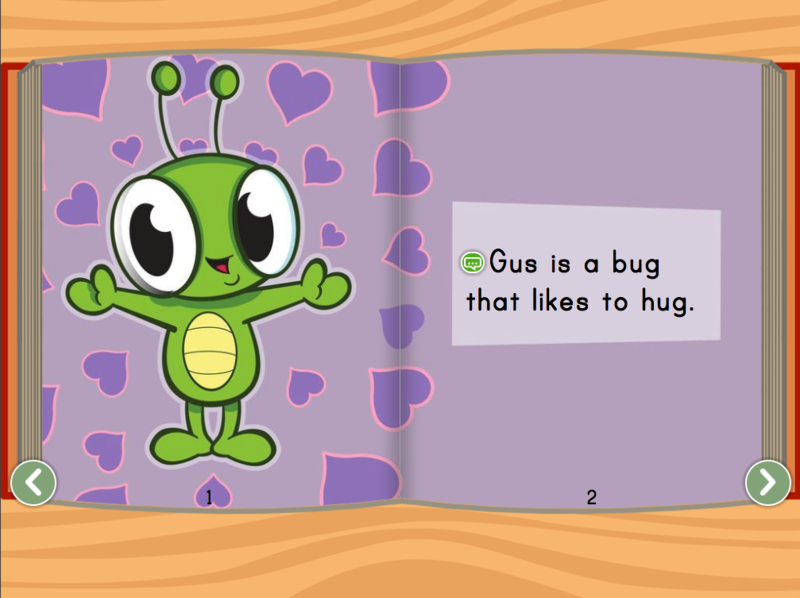 Look no further than this cute story featuring Gus, a bug that will hug anything and everything -- even the sun. Your child can sharpen her searching skills by looking for a host of everyday items hidden in this road trip destination scene. 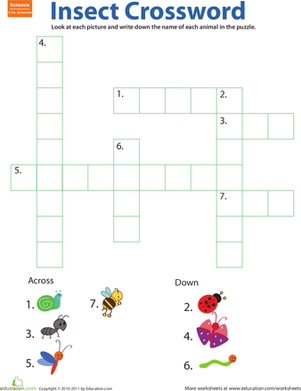 Test his bug knowledge with a fun crossword puzzle. 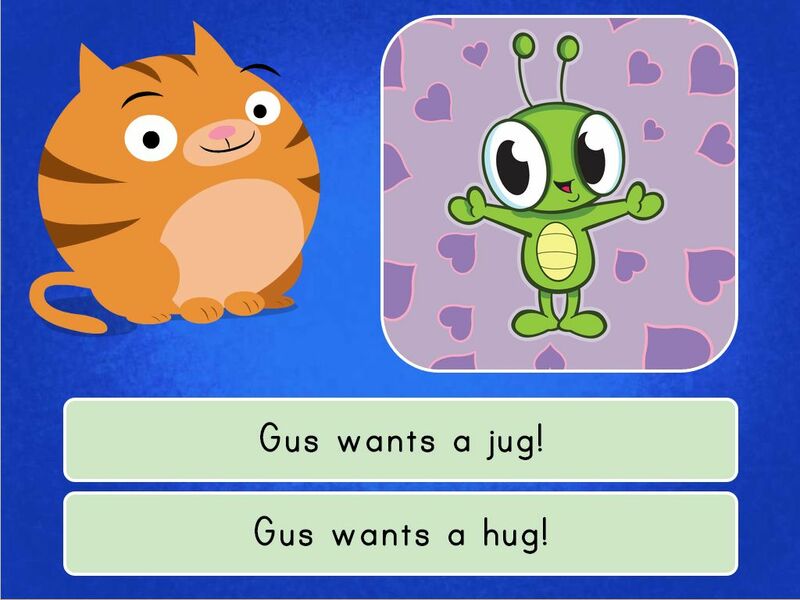 In this bug-themed lesson, students will look for words that are similar and fit into the -ug word family! 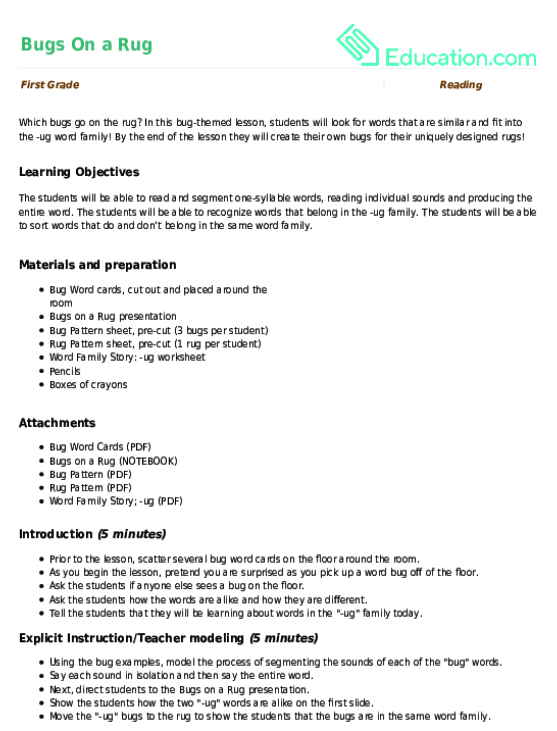 By the end of the lesson they will create their own bugs for their uniquely designed rugs! It's time to make—and hide—animals! 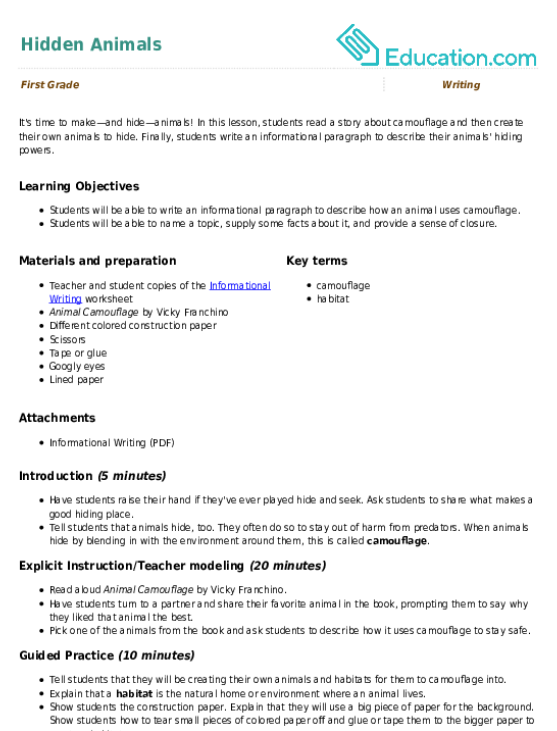 In this lesson, students read a story about camouflage and then create their own animals to hide. Finally, students write an informational paragraph to describe their animals' hiding powers.